The CCM FitLite helmet features engineered subshells to create a lightweight professional level of protection. The FitLite helmet also includes its innovative comfort liner, known as the R.E.D. System, with a series of liquid-filled bladders. The CCM FitLite is combining the advantage of a fully customizable lightweight fit with innovation in safety protection. Please Note: This sizing chart is for reference only and may not reflect personal preference. Helmet fits amazingly well, and is lightweight, but is it really worth $300+? Probably not. It does it’s job, but i feel it could come at a better price. Aside from the cool colors. I upgraded from the $55 Bauer for ventilation purposes. I was just drenched in the Bauer. This model seemed like it had more air slots. 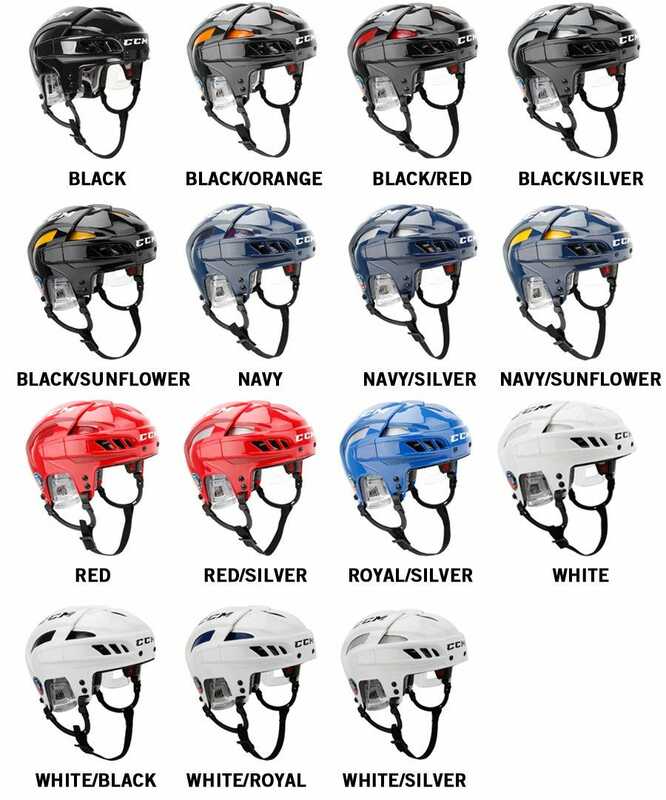 Essentially we are tripling the cost of the Bauer, so I was anticipating ALot better helmet. I was a bit disappointed with the initial quality, the stupid roller dial, that clicks & clacks for size adjustment. I feel like I broke it before I even put the helmet on. I don’t quite understand the RED system and bladders, they look minimal and are just taped to a hard gray polystyrene looking padding. A bit uncomfortable at first, I got the helmet on and squeezed and sized and clicked and clacked. It’s fine, I think it’s a little lighter and it seems to me, better at letting out the heat (which is a huge deal) Is it worth triple? Also yes the colors are cool, but I don’t get to look at myself! Also, it identifies you on the ice, making you more recognizable to your opponents... which is prolly a con! Really slick looking helmet with great sweat wicking interior but not ideal for players with larger heads. This helmet was so tight that it gave me head aches mid game, every game for 2 months. After one game tried to get some help from HM but didn't get any reasonable help. So far I really like this helmet. I could almost have gone up another size as it seems to fit a little small but it does fit and is comfortable. The helmet is light weight and has good adjustability. My only complaint would be that it definitely retains the sweaty odor post game. I just use some odor eliminating spray and it’s good as new. Would definitely recommend overall. CCM Helmets are warrantied to be free from manufacturing defects and workmanship for a period of one (1) year from the date of purchase when used as intended under normal use and without alterations.